The largest group representing U.S. banks is asking its members to share stories demonstrating problems caused by the growing gap between marijuana’s ongoing federally prohibited status and its legalization in an increasing number of states. In an email announcing the cannabis survey last week, the American Bankers Association (ABA) said that responses will be used by the national organization and its affiliated state bankers associations “to help illustrate to regulators and legislators the need for greater clarity” on the issue. While the Treasury Department under the Obama administration released guidance to banks on serving marijuana businesses in 2014—and a steadily growing number of institutions are opening accounts for cannabis growers, processors, retailers and related operations—many financial services providers have remained wary about working with the industry in light of continuing federal criminalization. Concerns about federal prohibition have caused a number of banks close accounts for ancillary service providers such as law firms that work with marijuana businesses but don’t actually touch the plant themselves. While ABA hasn’t endorsed cannabis reform—the group “takes no position on the moral issues raised by legalizing marijuana,” its website says—it has increasingly focused attention on highlighting financial services issues caused by federal prohibition. For example, last month the group’s vice president and associate chief counsel for regulatory compliance published a lengthy report outlining what he called the “cannabis conundrum” that bankers in an increasing number of states now face. And over the summer, the ABA Banking Journal’s podcast featured an interview on the topic with the head of the Colorado Bankers Association. The banking trade group also asked in the survey whether respondents would offer services to marijuana businesses if the “state/federal conflict is resolved,” and if they are willing to allow their responses to be attributed to them, suggesting that the organization may be preparing public advocacy materials featuring the stories of members that could be used as part of an increased push to amend federal policy. Legalization advocates say that ABA’s effort to build support for cannabis reform on Capitol Hill will be welcome. A number of key Trump administration officials have indicated they want to see a clarity on cannabis banking issues. For example, Steven Mnuchin, the treasury secretary, has hinted in congressional testimony that he wants state-legal marijuana businesses to be able to store their profits in banks. In a separate hearing he said that resolving the marijuana banking issue is at the “top of the list” of his concerns. “It would great if that could be clarified,” he said. And that same month, Federal Deposit Insurance Corporation Chairwoman Jelena McWilliams said that while she directed her staff to consider ways to address the issue, the agency’s hands are “somewhat tied” until federal law changes. Pressure is also coming from the states. In August, a coalition of the top financial regulators in 13 states sent a letter demanding Congress take action to protect banks that work with marijuana businesses. Despite the growing call for clarity on the issue, key committees in the House and Senate rejected amendments this summer that would have prevented federal banking regulators from punishing financial institutions for serving the marijuana industry. Standalone legislation to provide permanent protections to banks that work with cannabis businesses have garnered increasing numbers of cosponsors in both chambers, but haven’t been scheduled for hearings or votes. 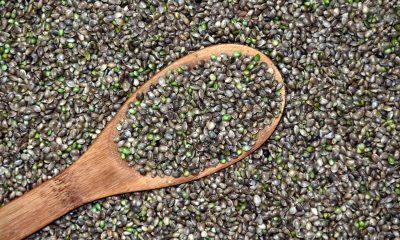 At the same time that the Food and Drug Administration (FDA) is working to create a regulatory framework for hemp-derived CBD, it’s also cracking down on companies that are in its view irresponsibly marketing CBD products and making unsanctioned claims about their medical benefits. FDA announced on Tuesday that it and the Federal Trade Commission sent warning letters to three such companies last month: PotNetwork Holdings in Florida, Nutra Pure in Washington state and Advanced Spine and Pain in New Jersey. The letters were sent “in response to their making unsubstantiated claims related to more than a dozen different products and spanning multiple product webpages, online stores and social media websites,” FDA Commissioner Scott Gottlieb said in a press release. CVS and Walgreens both recently announced they will begin selling CBD-infused products. We’ll be contacting them to remind them of #FDA obligations and our commitment to protect consumers against products that can put them at risk. 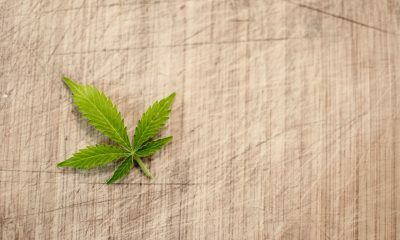 FDA is hustling to provide manufacturers guidelines on marketing cannabidiol following the federal legalization of hemp last last year, but the process is complicated by the fact that CBD is the active ingredient in an FDA-approved drug, Epidiolex, and remains the subject of intensive clinical testing. Gottlieb has indicated that it will take years to develop a regulatory plan for CBD without further congressional action. In the meantime, companies that continue to choose to engage in CBD commerce should be wary about making health claims about their products. The commissioner said FDA has “limited resources” for enforcement operations, but it would take action against companies that make “over-the-line” statements. In the press announcement, FDA listed some of the unauthorized claims that the three companies made. For example, the products were touted as being able to treat cervical cancer, Alzheimer’s disease and substance use disorder. Questions about what constitutes an unauthorized claim that would put a company at risk of enforcement action will likely come up at the agency’s just-announced public hearing CBD issues on May 31. Stakeholders are invited to submit information about the public safety impacts of CBD and how to manufacture and market products that contain the cannabis compound. This piece was updated to include Gottlieb’s tweets about national pharmacy chains. Photo courtesy of Nicholas C. Morton. A congressional committee voted on Thursday to approve legislation aimed at increasing marijuana businesses’ access to banks. Following multiple days of lengthy debate and consideration of several amendments, the House Financial Services Committee voted 45 to 15 to advance the legislation to the full body. Floor action has not yet been scheduled, but cannabis reform advocates are hopeful that the committee approval of the banking bill is a sign Democrats are ready to move broad marijuana reforms this year. All of the party’s major 2020 presidential candidates now support outright legalization, as do a majority of its voters, according to polls. The banking bill “addresses an urgent public safety concern for legitimate businesses that currently have no recourse but to operate with just cash,” Chairwoman Maxine Waters (D-CA) said at the start of the committee’s proceedings, which began on Tuesday and carried over through a second Wednesday meeting to votes on Thursday morning. “However, I also consider this bill as part of a holistic approach toward providing criminal justice reform to those who have been harmed by criminalization of marijuana, and should not by any means be the only bill the House takes up on the important issue of cannabis reform,” she said. 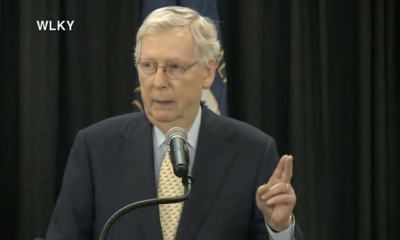 While some surveys also show that a smaller majority of GOP voters back ending cannabis prohibition, Republican lawmakers in Congress had blocked marijuana amendments from even being considered over the course of the past several years during their House majority. Last week, top Republicans on the Financial Services Committee requested that Waters delay the vote on the banking legislation, writing in a letter that they had several “unanswered questions” about the measure. That the vote went ahead over GOP objections is a sign that the effective marijuana roadblock on Capitol Hill has been lifted by the chamber’s new Democratic majority. Under the approved bill, federal banking regulators would not be able to punish financial institutions just because they work with marijuana businesses that are legal under state or local laws, or those of an Indian tribe. Currently, while a growing number of banks are opening accounts for cannabis businesses as more state policies change, many remain reluctant to do so out of fear of violating federal money laundering or drug laws. 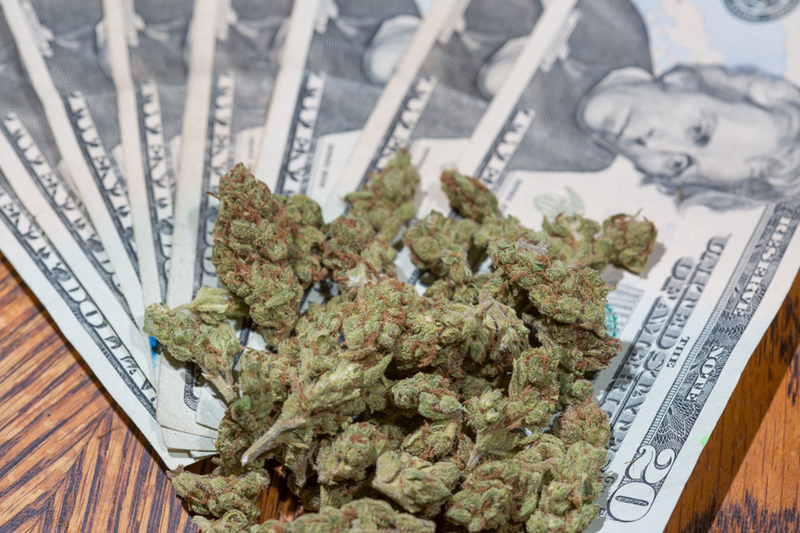 As a result, many marijuana growers, processors and sellers are forced to operate on a cash-only basis, which can make them targets for robberies. Legally-authorized cannabis businesses are forced to operate w/ cash only, which sometimes makes them targets for violent criminals. #HR1595, the #SAFEBankingAct will address this issue by creating a safe harbor that allows banks & credit unions to provide services to these biz. The legislation approved by the committee, the Secure And Fair Enforcement (SAFE) Banking Act, currently has 152 cosponsors—more than a third of the entire House, which is far more support than any previous standalone cannabis bill has earned. Twelve Republicans have cosponsored the legislation. The SAFE Banking Act’s approval by the financial services panel is only the third time in history that a standalone marijuana reform bill has cleared a congressional committee. 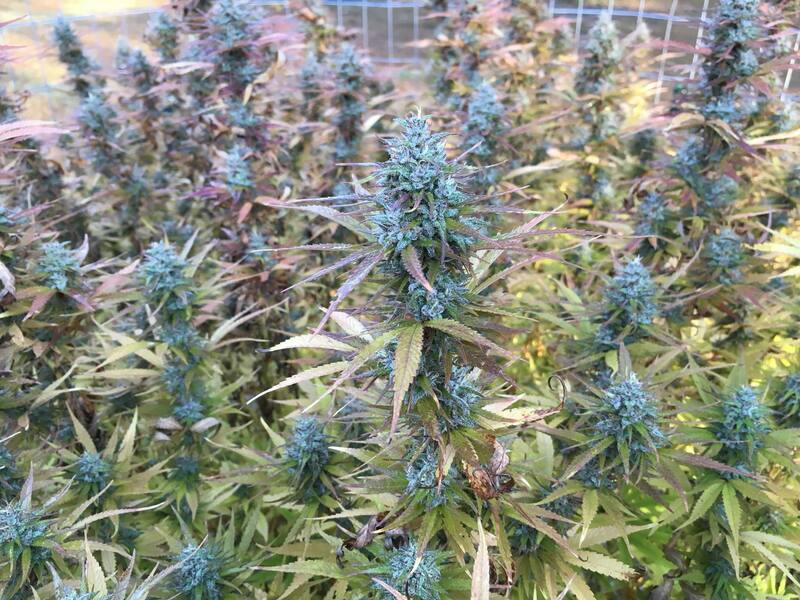 Last year, other committees voted to advance legislation encouraging the Department of Veterans Affairs to study medical cannabis and to require the Department of Justice to license additional growers of marijuana for research, but those proposals never made it to the House floor for action. Prior to voting to advance the bill to the House floor, the committee took action on a number of proposed changes to the legislation. Perlmutter put forth an amendment to his own bill, which was adopted via a voice vote. In addition to clarifying the definition of the financial services that are covered by the bill and specifying that its provisions would protect Federal Reserve banks, new additions would require the federal government to study diversity and inclusion in the marijuana industry—a key concern of legalization advocates seeking to undo the damage of the war on drugs, which has been waged in a racially disproportionate manner. 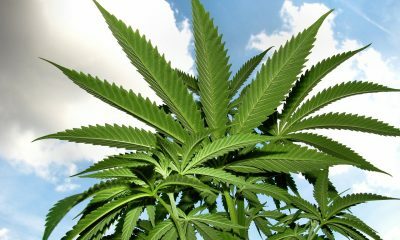 The new language would require federal financial regulators to publish annual reports tracking “information and data on the availability of access to financial services for minority-owned and women-owned cannabis-related legitimate businesses” and to issue “regulatory or legislative recommendations for expanding access to financial services” for those populations. Also during the committee markup, Rep. Katie Porter (D-CA) moved a separate amendment that would extend protections to so-called “de novo” banking institutions that are seeking charters or master accounts from a Federal Reserve bank. It was adopted via a voice vote. Rep. Steve Stivers (R-OH), one of the bill’s lead Republican cosponsors, filed an amendment expanding the legislation’s protections to insurance companies. It too was passed in a voice vote. An amendment from Rep. Scott Tipton (R-CO) directs the Government Accountability Office to study previous reports that banks are required to file on their marijuana business customers to understand how effective they are in identifying bad actors. It was supported by the bill’s sponsors and approved on a voice vote. Tipton filed an another amendment aimed at making sure drug cartels and organized crime networks aren’t able to benefit from the bill’s provisions, but he withdrew it instead of forcing a vote. Rep. Bill Huizenga (R-MI) moved to delay the bill’s effective date until marijuana is federally descheduled, but withdrew the amendment rather than force a vote. Rep. Blaine Luetkemeyer (R-MO) sought to attach an amendment that would add “legal entities operating in accordance with federal law” to those covered by the bill. In introducing the measure, he made reference to prior federal investigations of banks working with firearms dealers and payday lenders. It was ruled non-germane, however. Rep. Andy Barr (R-KY) filed an amendment that would have delayed the bill’s enactment until the Treasury secretary certifies it wouldn’t leave any financial institution more susceptible to illicit financial activity and money laundering, and that it doesn’t inhibit their ability to comply with federal regulations. It was defeated in a voice vote and then again in roll call vote by a margin of 33 to 27. Another Barr amendment would have restricted the bill’s reach to only protect hemp businesses instead of those that deal with marijuana. It also lost on both a voice vote and a recorded vote. The latter went down 42 to 18. An amendment from Rep. John Rose (R-TN) would have required banks to attest that they have internal controls ensuring that no funds have been deposited in their institutions that are associated with illegal organizations. It too was rejected in voice and roll call votes, with the latter tallying 33 to 27. A second Huizenga amendment would have postponed enactment until federal financial regulators are able to issue guidance to banks. It was rejected with a voice vote, and a roll call was requested, which came out 35 against to 25 for. Rep. Sean Duffy (R-WI) offered an amendment to withdraw the bill’s protections from banks that serve marijuana businesses located within 1,000 feet of schools, youth centers, public parks, child care facilities, public housing, civic centers or designated drug-free zones. It was rejected via a voice vote, and then in a roll call vote by a margin of 34 to 26. 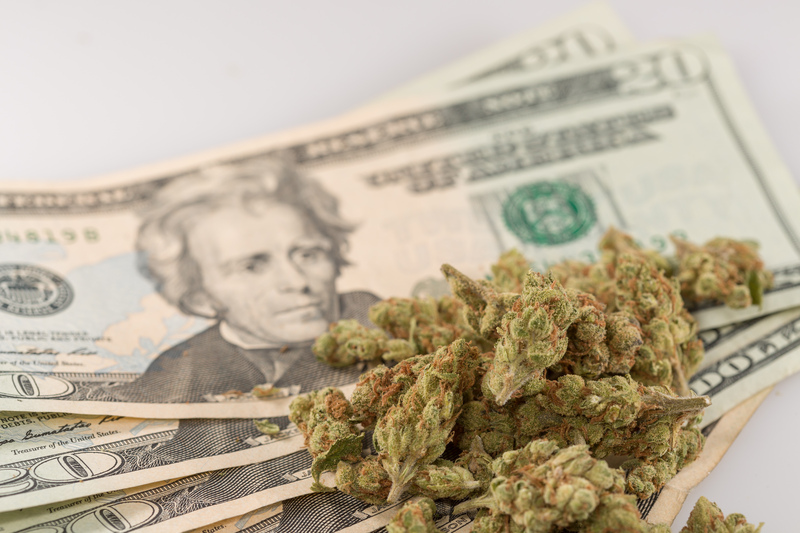 The banking legislation, which was the subject of a separate lengthy committee hearing last month, is seen by advocates as just the first step in an ambitious cannabis reform agenda they want the Democratic House to pass this year. Several more far-reaching bills to change marijuana’s legal status so that states can implement their own policies without the looming threat of federal interference have not yet been scheduled for hearings. Other pending proposals seek to address medical cannabis access by military veterans, the removal of roadblocks to research and tax rates for marijuana firms. “Congress must take the long view that all these efforts—and I will work to ensure that when it comes to passing [the banking bill] that the House does not take a ‘one and done’ approach but that we will also comprehensively work, especially with our colleagues on the Judiciary Committee, on a series of marijuana related reforms,” Waters, the Financial Services Committee chair, said prior to the vote. Rep. Nydia Velazquez (D-NY) said at the Wednesday meeting that she will be exploring ways to expand credit opportunities for marijuana businesses, particularly those owned by women and minorities, in her role as chair of the House Small Business Committee. Late last year, Rep. Earl Blumenauer (D-OR) authored a “blueprint” memo that lays out a step-by-step process Democratic leaders could take to federally legalize marijuana by the end of 2019. Passing a banking bill is a key part of his plan. NORML Political Director Justin Strekal also praised the committee’s action. Sens. Jeff Merkley (D-OR) and Cory Gardner (R-CO) are expected to file companion legislation on access to financial services for marijuana businesses in the Senate soon. A prior bill during the last Congress garnered 20 cosponsors in the chamber but did not receive a hearing or vote. A new memo from pro-legalization advocates offers some insight for marijuana businesses, investors and consumers on how they can better support social responsibility in the increasingly legal industry. The four-page document unveiled by the Drug Policy Alliance (DPA) on Friday proposes guidelines to help assess whether a business is operating in a manner that recognizes the historic harms and injustices caused by prohibition. Specifically, the memo asks industry players to take a harder look at their policy positions, internal operations and practices, whether their company supports up-and-coming marijuana businesses and how invested they are in the local communities in which they operate. 3) supporting initiatives that create a remedy for past harms. DPA, along with the Marijuana Policy Project, has been a driving force in funding moves pass marijuana legalization ballot measures and shepherd cannabis bills through state legislatures. Without its work, the market for legal cannabis in the U.S. would be much smaller, if it existed at all. Other measures that address the costly effects of the drug war, according to the DPA guidelines, include opposing any rules or laws that would intentionally shut out people who have been arrested or convicted on marijuana-related charges from working in the industry, investing in communities that have been disproportionately impacted by cannabis enforcement and creating opportunities to help people from marginalized communities participate in the industry. The organization suggested a list of questions for companies to consider concerning a range of topics: Among them, whether they support home grow—which ensures access for those who can’t afford retail marijuana or live too far away from a dispensary—how inclusive they are in who they hire and if they support scaled license tiers. • Does the company support a free and fair marijuana market that does not give it disproportionate advantages? • To which causes or candidates is the company donating money? • Does the company have a policy against drug testing employees? • Is the business a social benefit corporation? B-Corp? Non-profit? Cooperative? Or collective? If not, what percentage of its profits is donated to nonprofits? Jag Davies, DPA’s director of communications strategy, said the new guidelines are part of a broader shift in the organization’s work over the past few years toward emphasizing racial and restorative justice provisions in any legalization bill they’re involved with. 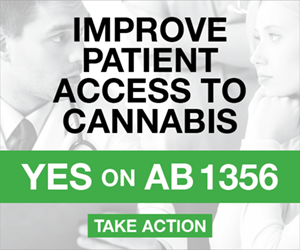 “It started with Prop 64 in California in 2016, which we played a leading role in making sure that it had a number of criminal justice and restorative justice provisions that other previous legalization bills didn’t have,” Davies told Marijuana Moment in a phone interview. That work continues with their campaigns for legalization in New York, New Jersey and New Mexico, he said. “The debate is really not about whether legalization is going to happen. 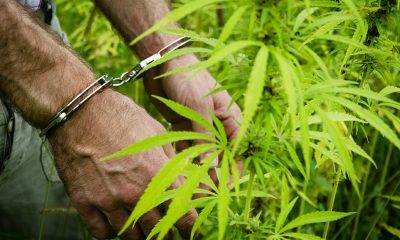 It’s how it’s going to happen and to what degree it’s going to repair the harms of criminalization and to what degree it’s going to repair harm among the people who were worst harmed by marijuana criminalization,” Davies said. In addition to supporting limited home cultivation and federal legislation like the Marijuana Justice Act, the association also helped the Minority Cannabis Business Association draft a model social equity ordinance for cities that was published this month. But there’s still a long way to go before all of the cannabis industry’s major players start walking the walk, advocates say.